" So FRESH you'll want to slap us "
Twin Shellfish is located on scenic Apponaug Cove in Warwick Rhode Island on the corner of Arnolds Neck Drive and Harrop Avenue . We sell Fresh Shellfish [ Quahogs , Little neck clams , Steamers , Conch Snails ] . We deliver a ultra fresh product at a great price [ call Marty 401-524-7047 or Tim 401-226-7398 for current prices ] . 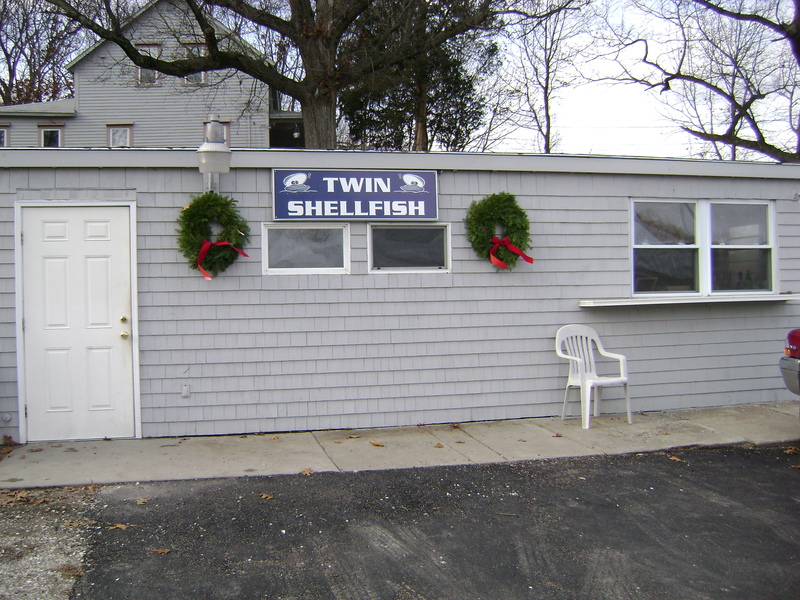 Twin Shellfish 5 Harrop Ave. Warwick , R.I.